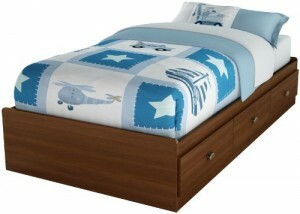 Choose this mates bed and you won’t need to change your little boy’s furniture as he grows older! It was in fact created to meet his needs — and reflect his taste — for years to come. The style will work throughout his childhood and early teen years: you’ll just need to change the décor and colors. It’s less costly than a full bedroom set!